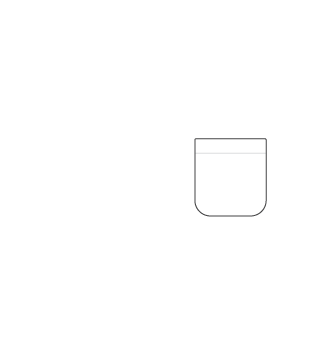 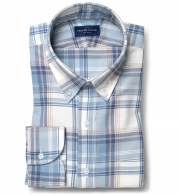 Smaller proportions, unfused construction and a button on the back―perfect for casual shirts. 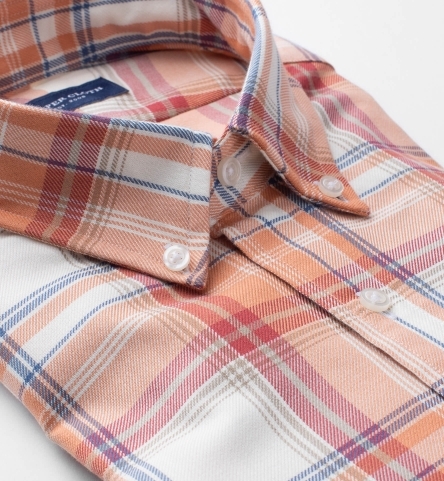 A lightweight casual twill that's as soft as it gets. 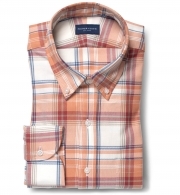 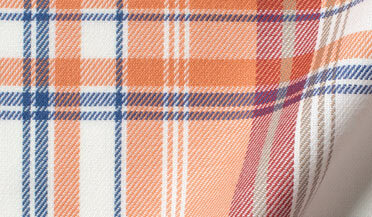 We worked closely with a world-class mill in Portugal to develop this attractive plaid in spring-ready colors. 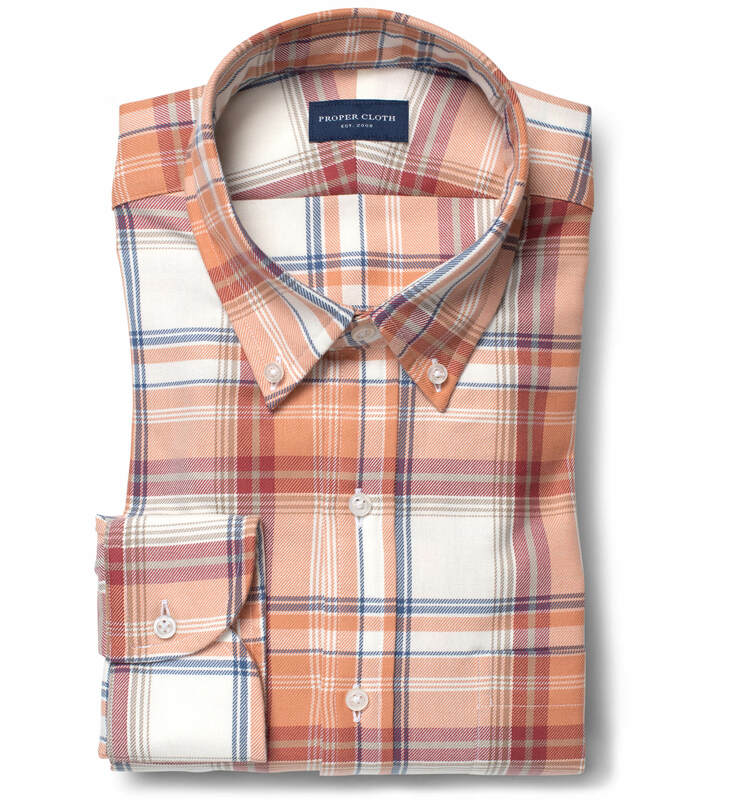 The off white, amber, crimson, and navy blue color tones work beautifully together to create a pattern that's sophisticated and unique. This fabric is woven with a 50s 2-ply twill construction that's a comfortable weight for all four seasons. It has the look and feel of a classic flannel, but its soft, unbrushed finish and lighter weight give it great seasonal versatility. 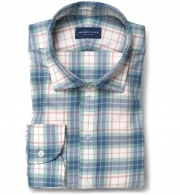 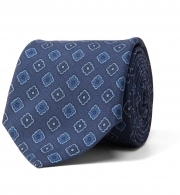 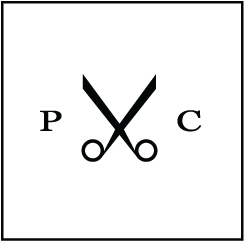 We think this is best with soft, unfused collars and cuffs. 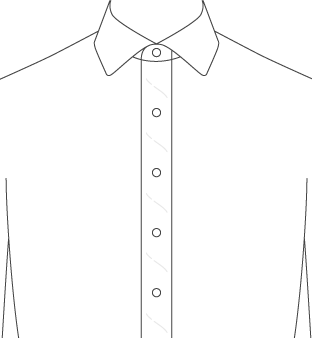 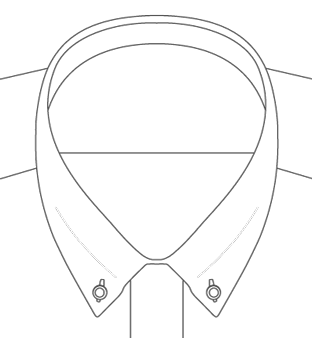 Try it with our Soft President Spread collar, no placket, and Soft Long One Button cuff.